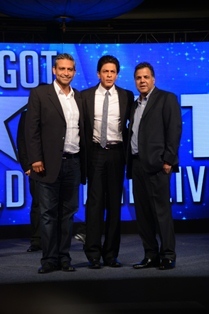 Colors, today, announced its association with RFS Entertainment to present Indian audiences with a unique offering entitled "Got Talent World Stage LIVE" - a first-of-its-kind global on-ground extension of the Got Talent franchise premiering in India. 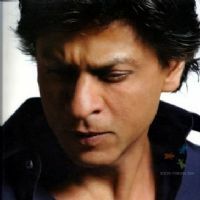 To be hosted by Bollywood's undisputed king Shah Rukh Khan, the event will feature performances by 10 Indian and International talents each, who have enthralled the world with their superlative acts. Among the faces who will visit India with the aim to engage and wow audiences will be popular illusionist Darcy Oake who has won top honours and awards for his ability to showcase the unexpected. Got Talent World Stage Live, a ticketed event, with tickets going on sale next week, via www.bookmyshow.com. The event will be telecast on COLORS and be held at Mumbai's Andheri Sports Complex on 6th December, 2014. Got Talent World Stage LIVE, executed by Cineyug, is a first-of-its-kind on-ground extension of COLORS' marquee talent show, India's Got Talent . The Got Talent format was created and is owned by Simon Cowell's Syco Entertainment and is co-produced by Fremantle Media India. The 10 international artists who will be a part of the event will include talented individuals / groups who have created a mark for themselves through various syndicates of the show across countries like Britain, Australia, Spain, China and Italy among others. These supreme acts will be complimented perfectly by 10 of the best artists from India's Got Talent who will come together to create a high-octane evening, comprising of unparalleled acts further building a LIVE wire experience for the viewers. In addition to illusionist Darcy Oake, the event will feature contortionists, acrobats, dancers, stunt artists and many such exciting talents who will take the audience by storm. Commenting on Colors' association with the event, Raj Nayak, CEO - COLORS said, "We have been associated with the Got Talent franchise for over 6 years now which has not only witnessed the successful India's Got Talent series but also a corporate extension in the form of CEO's Got Talent. As a broadcaster, the property holds immense potential for us because the discerning Indian audience harbors great appreciation for outstanding talent. We are looking forward to the on-ground extension of the property especially because it gives us the opportunity to raise the entertainment quotient through the exhibition of exceptional local and international talent." Speaking about his association with the property, host Shah Rukh Khan said, "Performing arts is a pure act of passion and love. I am glad to associate with Got Talent World Stage' as a host. I am sure that we will get to witness some extraordinary talent." Simon Cowell said "I'm delighted to have Shah Rukh Khan, Raj Nayak, Rav Singh and the RFS team on board to announce the first Got Talent World Stage LIVE in Mumbai. The Got Talent format has uncovered some incredible stars around the world and this is a great celebration of Indian and international artists." Adding to this, Rav Singh from RFS Entertainment said, "Got Talent World Stage LIVE marks the first time where an internationally renowned television series format will be adapted for a LIVE audience. The promising new talent across genres proving their mettle on every available platform, makes India the perfect backdrop for a showcase of this magnitude. The caliber of national and international talent who will join hands to make Got Talent World Stage LIVE a larger-than-life property will be a delight for Indian audiences who could be watching the show either LIVE or in the comfort of their homes on their television sets."